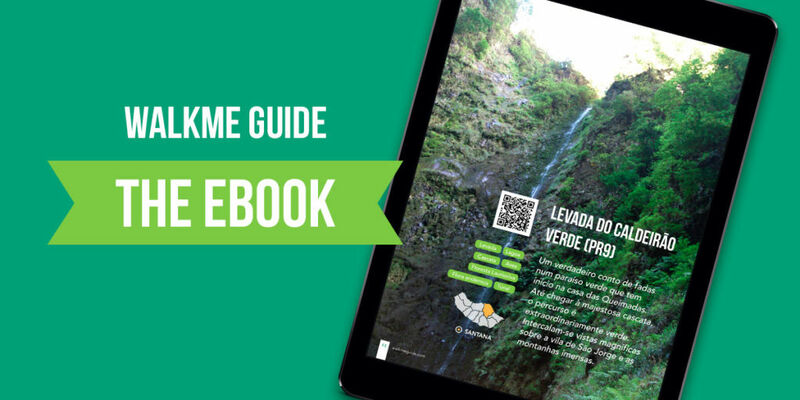 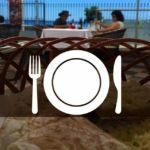 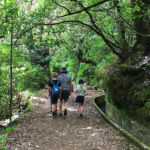 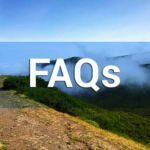 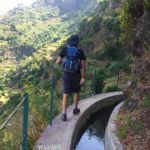 This route combines a set of factors that makes it a true adventure, taking the hikers along a forest road until arriving at the levada, which follows towards the majestic Caldeirão do Inferno, just above the Caldeirão Verde. 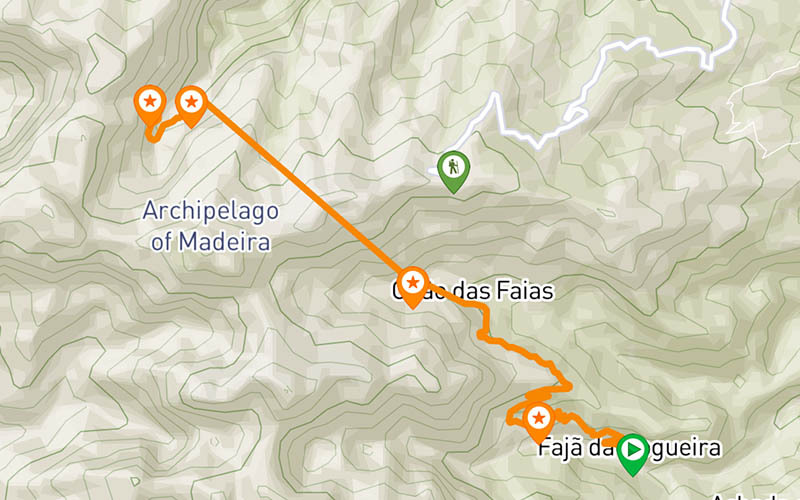 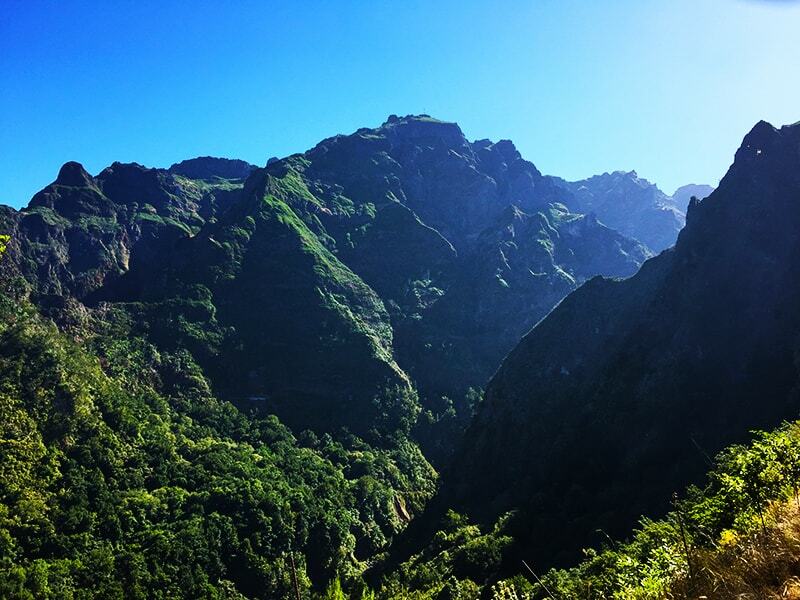 The proposed trail starts at the hydroelectric power plant of Fajã da Nogueira, which is about 2 km from the main road. 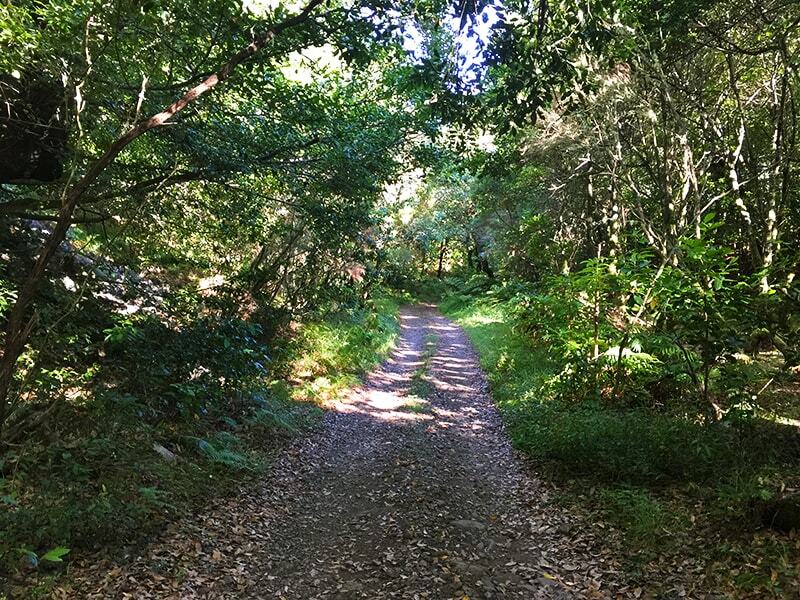 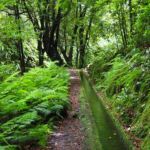 This forest path can be crossed on foot or with a jeep or 4x4 car and continues until you find the path next to Levada, passing by the emblematic area of the Montado do Sabugal, where you can appreciate the imposing Til trees (Ocotea foetens), an endemic specie of the region, with more than 600 years of existence, existing before the discovery of the Island. 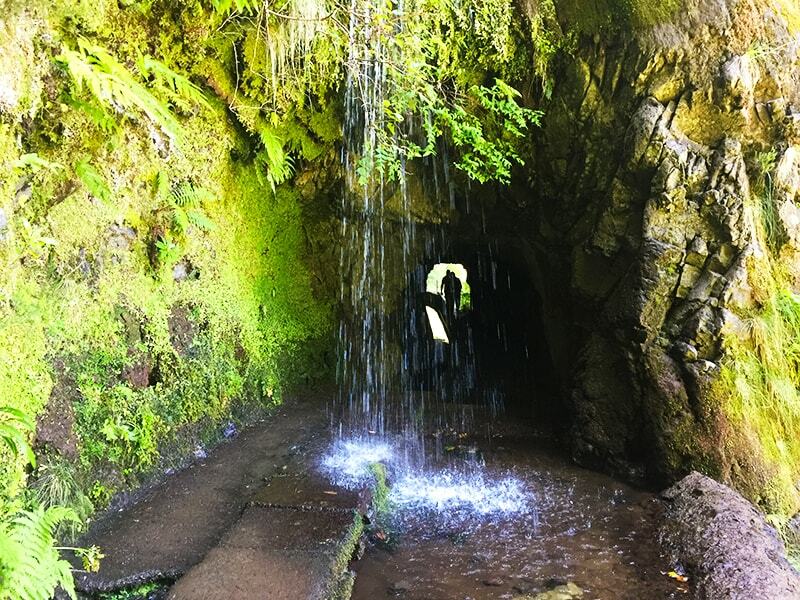 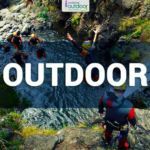 When arriving at Levada, the path is flat and has several tunnels, waterfalls and lagoons, which are interspersed with the magnificent views of the mountains of the central mountain range. 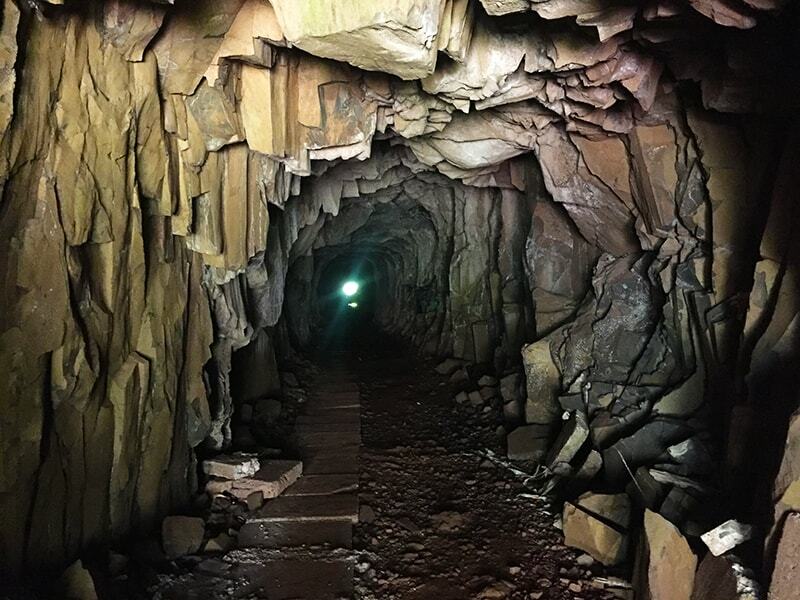 It is precisely on this walk that you’ll find one of the largest tunnels of the Island, with about 2.5 km long, takes approximately 40 minutes to cross from one side to the other. 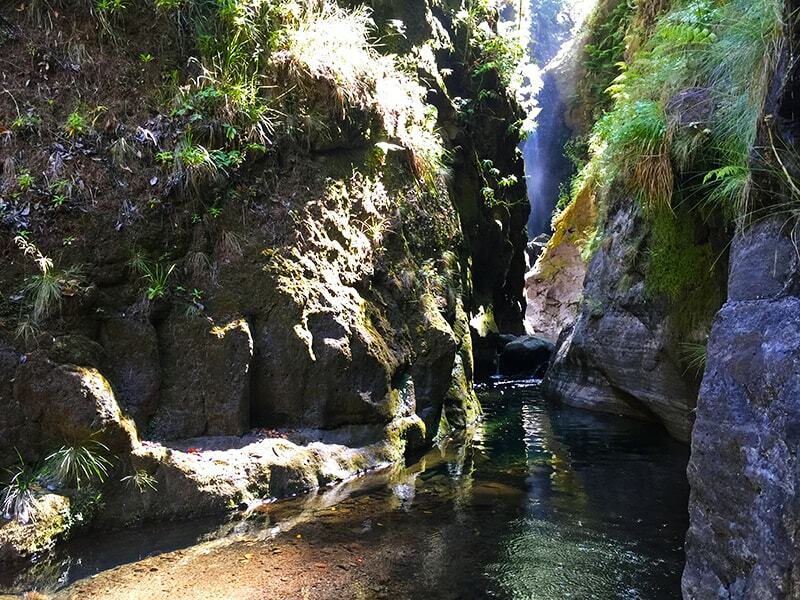 After the long tunnel, the path continues surrounding us in its magic, offering us an extraordinary experience of contact with nature, towards the hidden Caldeirão do Inferno, that takes shape between the imposing mountains, rocks, waterfalls and lagoons. 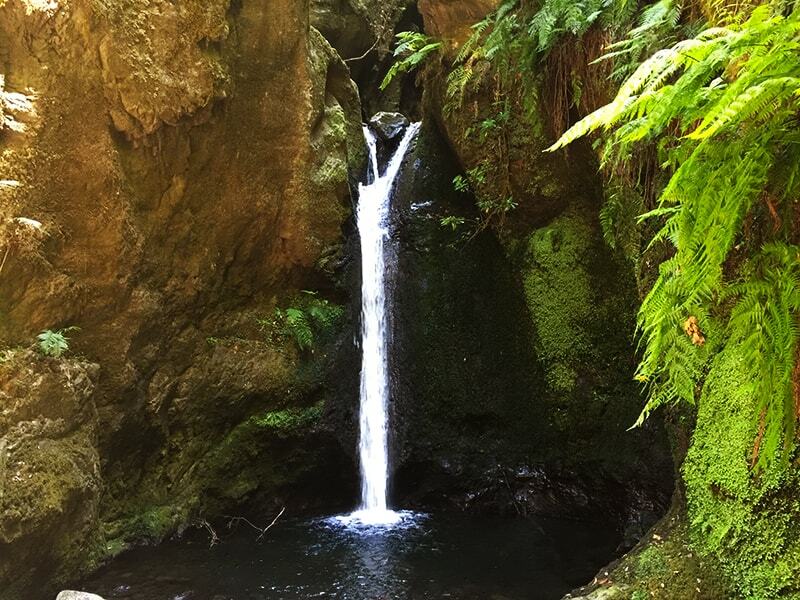 Enjoy the place and renew the energies in this magnificent space before returning, by the same way.